Shain Wiederholt submitted this photo and caption. 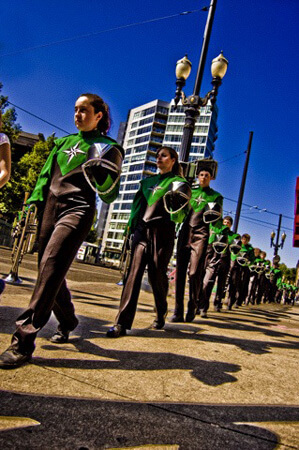 I marched as a member of the Oregon Crusaders in 2008. I had the chance to hang out with the corps before they played an amazing standstill performance at a Portland Beavers baseball game. While doing that I did some photography for them and this is one of my favorite shots.